53% of our repair calls could have been prevented with regular maintenance. That not only saves you time, but can save you a lot of money. Just as with anything, time can wear away even the best home heating system. Your heating system becomes less and less efficient with time because it accumulates dust and dirt. That build up can cost you money with increased usage (which means higher utility bills) and impending repair bills. Is your heating system ready for the unpredictable North Carolina winters? Did you have to think about that for a moment? When was the last time your heating system has had a tune-up? Maybe it’s time to call Weather Master. 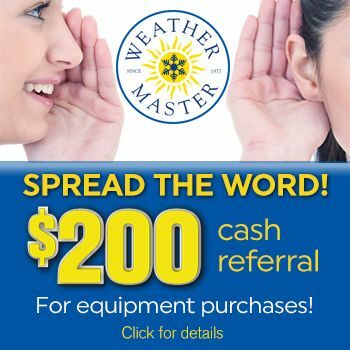 Weather Master offers a precision tune-up for only $79, so you don’t have to pay a lot to ensure that your heating system is ready for whatever winter might bring. And, as always, we want you to be happy, so we have our 100% satisfaction guarantee. Click on the service below to see a complete list of tasks we will perform on your tune-up.